Wikidocumentaries is a microhistory wiki for small history: ordinary people and everyday places. It collects openly available images and content from Wikimedia projects, archives, museums, libraries and the users themselves, and allows to arrange them around topics. There are two ongoing pilots in the project. The first one focuses on the platform and helps facilitate all further activities. The second one focuses on piloting with local content in municipalities and communities around Finland. The Wikidocumentaries platform is built as a MediaWiki with a Wikibase extension. This makes the infrastructure similar to Wikidata, the world’s biggest linked data repository. There is a page for each topic in Wikidocumentaries. The first set of topics is about places, people and events in Finland. In our example layout we have taken a random item nearby and started to collect information about it. 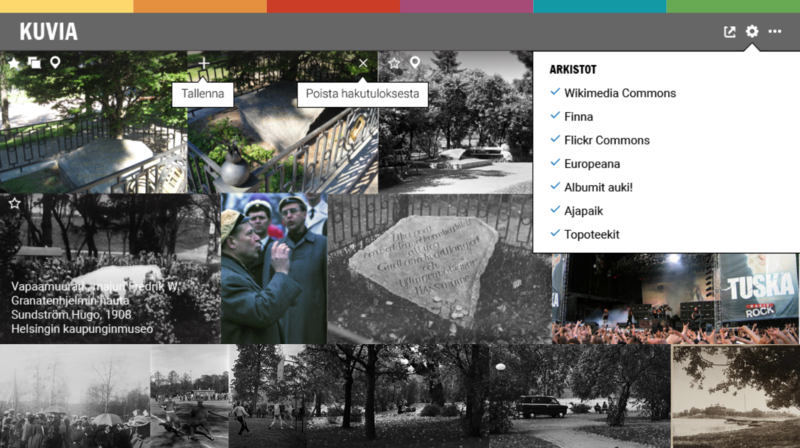 The example shows a memorial in Helsinki, with pictures, maps and newspaper articles gathered about it from archives, and content created by the users. Wikidocumentaries aims to be a crowdsourcing platform with many different tools to work with the content. This year we will make available tools to geolocate images, but there can be many more. One could transcribe letters, identify people in images, search newspaper articles, georectify old maps, make historical street views and even sing forgotten songs together. All enriched data is saved into open platforms – images to Wikimedia Commons and data to Wikidata – when it’s good enough for that: properly sourced, notable enough or well-defined. Rephotos for images in Finna are taken with Ajapaik app and saved to Wikimedia Commons. 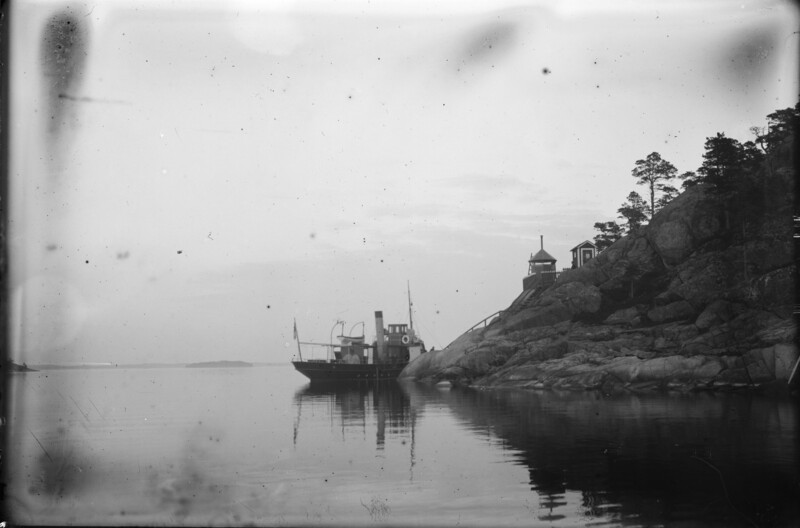 Old image Ehrensvärd memorial, unknown photographer, 1918, Gallen-Kallela Museum. New image CC BY 4.0 Susanna Ånäs, 2018. 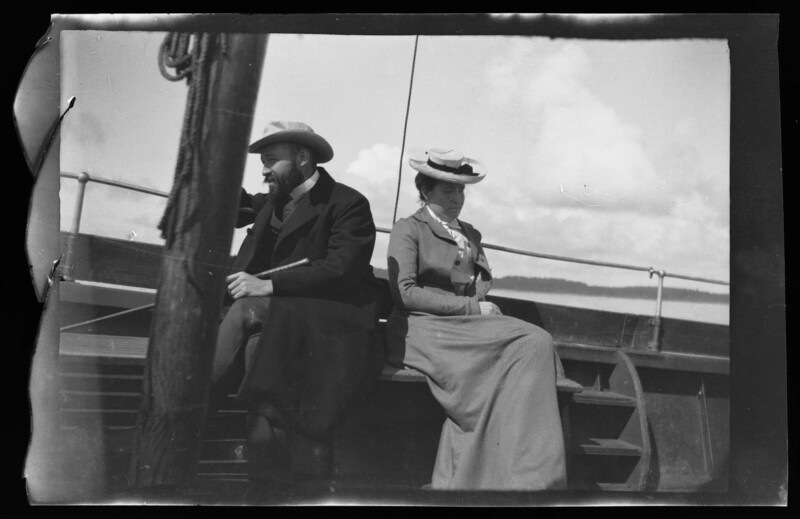 Wikidocumentaries is working together with Ajapaik and Wikimedia Finland to ensure a workflow to geolocate old images. The images are read from Finna.fi into Ajapaik rephotography app for Android. The old picture is aligned with the view in the mobile camera and – click – the old image gets coordinates while the new image provides an interesting comparison of changes in the location. The enriched data will be saved along with the old and the new image into Wikimedia Commons. Planning kicked off in February in the kickoff workshop. Wikidocumentaries was presented at two events during the beginning of the year, as a short paper at the Digital Humanities in the Nordic Countries 2018 in March and at the XIV Nordic local history seminar in Helsinki in June. In April, we participated in a workshop hosted by the European Research Agency together with projects with a similar concept about creating their own Wikibases linked to Wikidata. The question that was crucial for all the Wikibase projects was how to make use of Wikidata items and properties in their local projects. For Wikidocumentaries, our interest was also how to create a custom user interface while keeping all the necessary MediaWiki services. 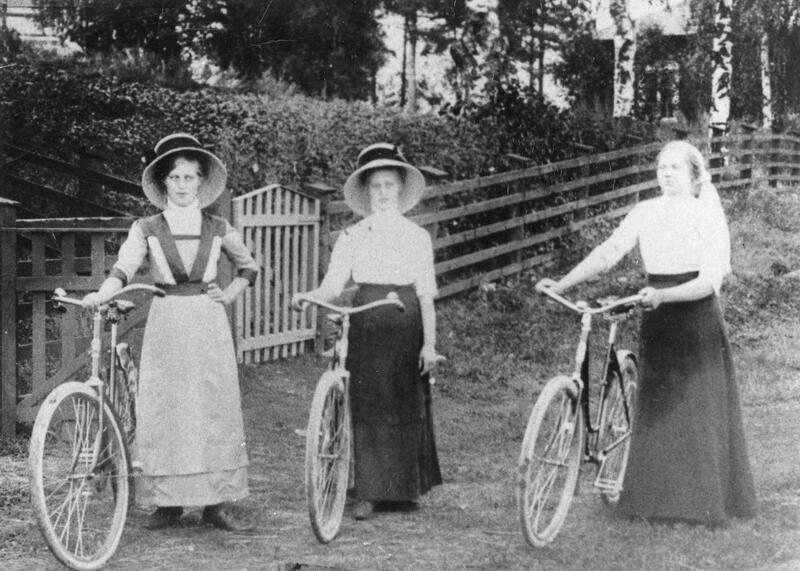 The Topotheks have gathered expertise in collecting imagery in local communities. We joined the ICARUS meeting in Helsinki in June and opened the exchange of ideas and experiences for further collaboration. 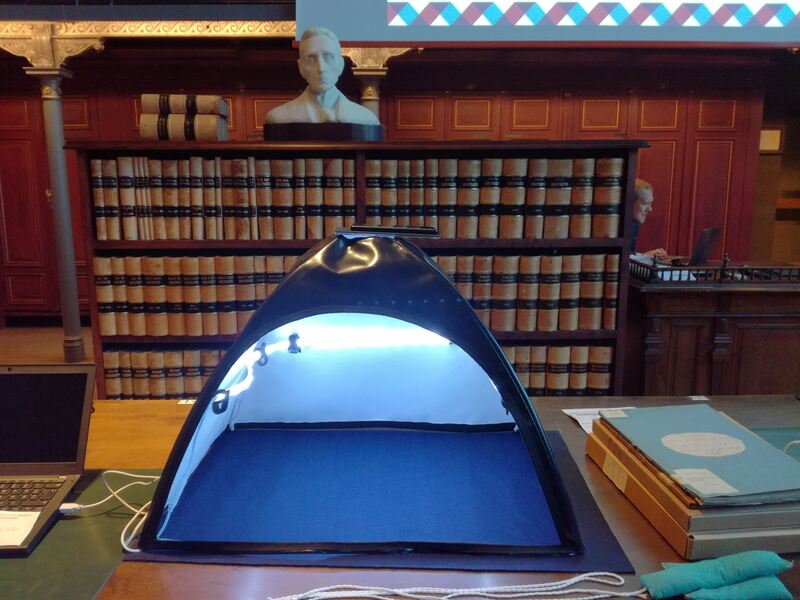 These handy ScanTents were introduced at the Scanathon organized by the National Archives in relation to the READ project. The EU project aims to create a framework for recognising hand-written documents. One of these tents will be available for Wikidocumentaries for local collection events over the summer. The technological development kicked off with the Wikidocumentaries technical workshop arranged in June. In the team, Eetu Mäkelä is responsible for the linked ecosystem of repositories, Niklas Laxström will manage the development for the MediaWiki platform whereas Erno Mäkinen will handle the user interface integrations. If you are interested in the setup, join the Phabricator project for Wikidocumentaries at Wikimedia and follow the development at the future wiki of Wikidocumentaries at wikidocumentaries.wmflabs.org! During the summer and autumn we will make content pilots around the country. The first trip heads out to Suolahti Old Railway Stations’s 120 year anniversary together with the Gallen-Kallela Museum. Together we will scan old images from Gallen-Kallela’s skiing trips around the region and record the history of the railway station to open platforms. Later this summer we’ll look at marine and coastal life inland and at seas. The activities can include inventorying the availability of historical local material in the local museums and in the possession of the residents and the heritage organisations, meetups in libraries to collect new material and rephotography safaris to revisit the photographed sites. Museums and heritage organisations, please get in touch, if you are interested! 1918 gives its impression to the topics. 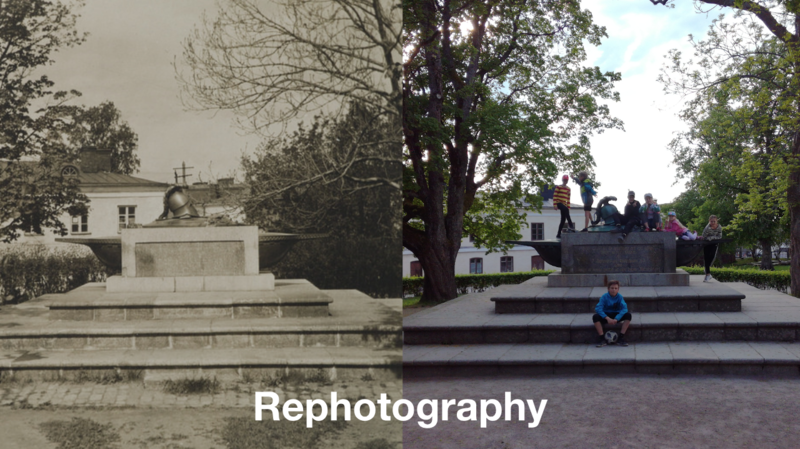 The images of 1918 are made available for rephotography in collaboration with the Wiki Loves Monuments competititon organised by Wikimedia Finland and the National Heritage Agency. The casualties register of the 1939–45 wars will be a major import of personalities into Wikidocumentaries, which will make that data available for completion and enriching. There will also be more co-development events together with our partners. Workshops are being planned with Finna for the user experience, the National Land Survey for historical places and Digitalia for newspapers and private archives. Stay tuned in the Wikidocumentaries Facebook group!